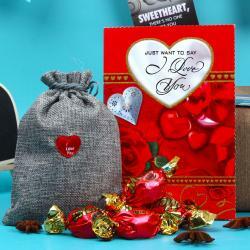 Product Consists : Sapphier Hazelnuts Milk Chocolates (Weight : 160 Gms) and an Artificial Red Rose in Container along with Small Card. 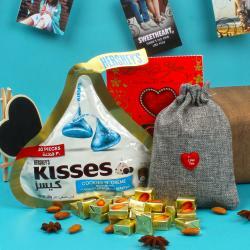 Make your special someone feels extra special on this Valentines Day with this mind bowing gift combo of Giftacrossindia.com. This gift combo is comprises one very beautiful small love card with love quotation inscribed on it, one artificial red rose with exclusive jar with jute wrapping and Sapphier Heart shape box filled with Hazelnuts Milk Chocolates . The artificial rose is crafted very beautifully that it looks like a real flower. 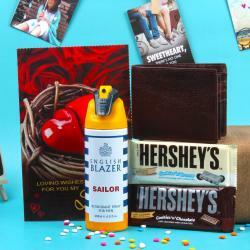 This gift combo is best for gifting to your lady of love as it said that girls love chocolates and flowers more than boys. So go ahead, place your order now. 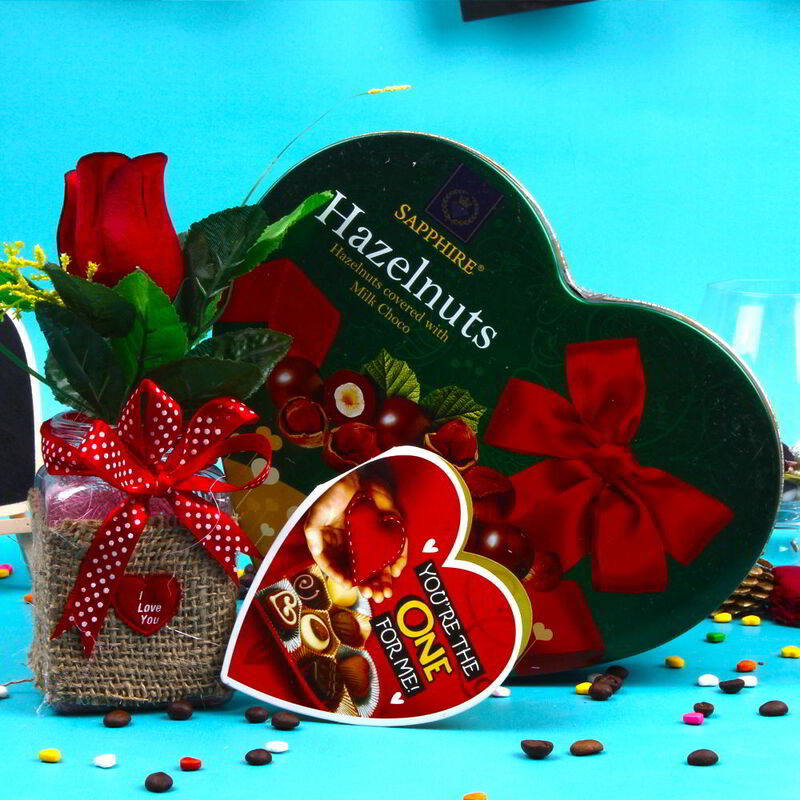 Product Includes: Sapphier Hazelnuts Milk Chocolates (Weight: 160 Gms) and an Artificial Red Rose in Container along with Small Card.